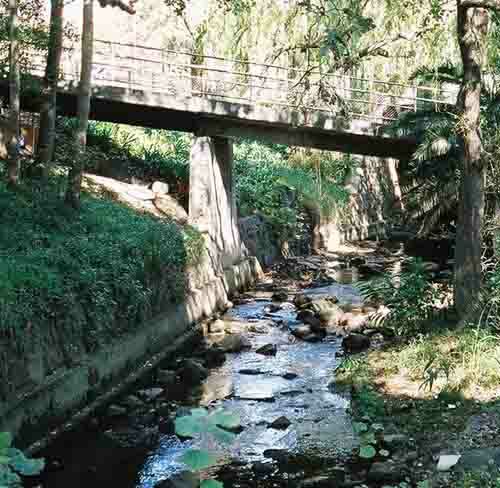 The Liesbeeck River is one of the most well known rivers in Cape Town. 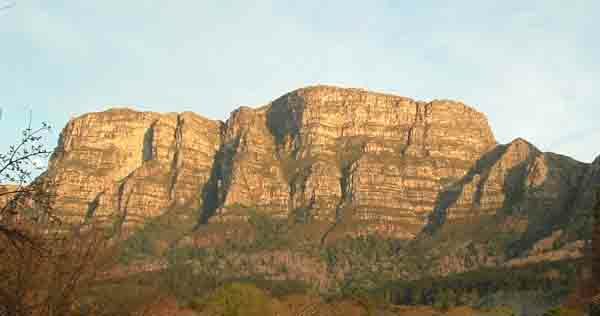 It has its source in the mountains above Newlands and flows down the valleys of the mountain through Kirstenbosch on its way to the sea. 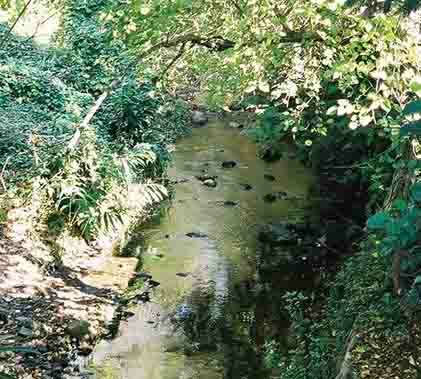 The river was first used by the Free burghers who were settled along its banks to water their crops and their animals. Over the years as the Rondebosch/ Newlands areas grew the river has been canalised in certain areas to stop it flooding into the houses built along its banks. Near the Newlands rugby station it flows below the main road and then through a lovely wooded area full of large oak trees. A pathway has been built along the course of the river and is utilised by locals to walk and jog along. A number of squatters have moved in near the rugby stadium and are using the picnic facilities on the river bank as their kitchen. In the summer the walk is very pleasant in the shade of the oak trees and some of the weeping willows which also grow there. This week however with the heavy rain we have been experiencing in Cape Town this babbling brook as it is in the summer months suddenly became a raging river. The normally clear brown water flowing slowly under the trees suddenly became a seething torrent rushing down to the sea. Water levels were up in the upper reaches of the river by about a half a metre. Many of the reed beds growing on the banks of this normally sedate stream were flattened by the torrent. Further downstream from the Newlands rugby stadium near Observatory where the river normally runs very slowly under the weeping willow trees it rose sharply and flooded its banks. Buildings and carparks which are normally two or three metres above the level of the water in the river were suddenly in water a metre deep. This came as a surprise to many who found their cars flooded and unable to start. Tow trucks had to be utilised to pull the cars out of the water. Fortunately once the rain stopped the waters subsided leaving behind a lot of mopping up to do. A drive around town to look for damage after the flood showed nothing of what took place on Thursday. The traffic jams were gone and in most places the water had flowed away. Thursday's swollen Black River and its tributary the Liesbeeck River had once again become the sedate rivers they normally are. Near the mouth of the river where it enters the sea at Paarden Eiland one could see some of the aftermath of the flood. Many of the water hyacinths that block the Black river during the summer months had been swept out to sea by the flooding and had washed up on the beach near Milnerton. Authorities had not wasted any time to claen up the beaches. 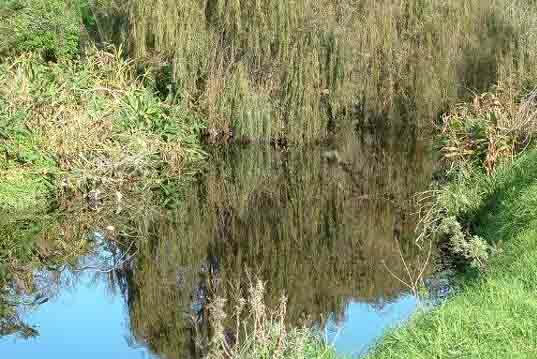 When you next visit Cape Town take a walk along the pathway next to the Liesbeeck river and experience some of the changing moods of this river.